Place of Birth: Omaha, Nebraska, U.S.
Place of Death: Manhattan, New York City, New York, U.S.
Malcolm X, also known as Malcolm Little and el-Hajj Malik el-Shabazz, was an American Muslim minister and human rights activist. Malcolm was the son of Louise Helen (Norton) and Earl Little. Malcolm’s father was an African-American, from Reynolds, Georgia, and was a Baptist lay speaker. Malcolm’s father was said to have been murdered by racists. Malcolm’s mother was born in La Digue, St. Andrew, Grenada, to a black mother. It is said that Malcolm’s maternal grandfather was white (of English or Scottish descent), although he was not married to Malcolm’s maternal grandmother. This is said to be the reason why Malcolm had reddish hair. 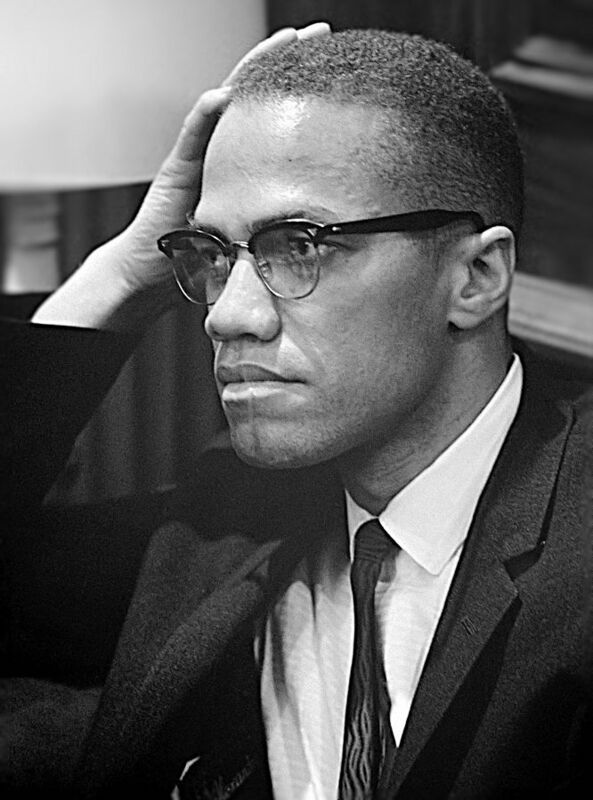 Malcolm joined the Nation of Islam while in prison. He was later the Nation’s spokesman, before converting to Sunni Islam. He made a pilgrimage to Mecca, which changed his views on race relations. Malcolm was assassinated by members of the Nation of Islam almost one year after his departure from the Nation, in 1965. Malcolm was married to educator and civil rights activist Betty Shabazz, until his death. The couple had six children. Malcolm’s paternal grandfather was John Little (the son of Tony and Clarrie). John was born in Georgia. Tony was sold as a youth to the Little family. Tony’s father, Ajar, was brought from West Africa as a slave. Malcolm’s paternal grandmother was named Ella Gray. Ella was born in Georgia. Malcolm’s maternal grandfather was said to have the surname Norton. Malcolm’s maternal grandmother was Gertrude Langdon (the daughter of Jupiter Langdon and Mary Jane). Gertrude was born in Grenada.